Students in Dr. Scott Hawley’s Physics for Audio Engineering course recently built a ported speaker cabinet for the new isolation booth obtained for the College of Sciences & Mathematics Acoustics Teaching Lab. 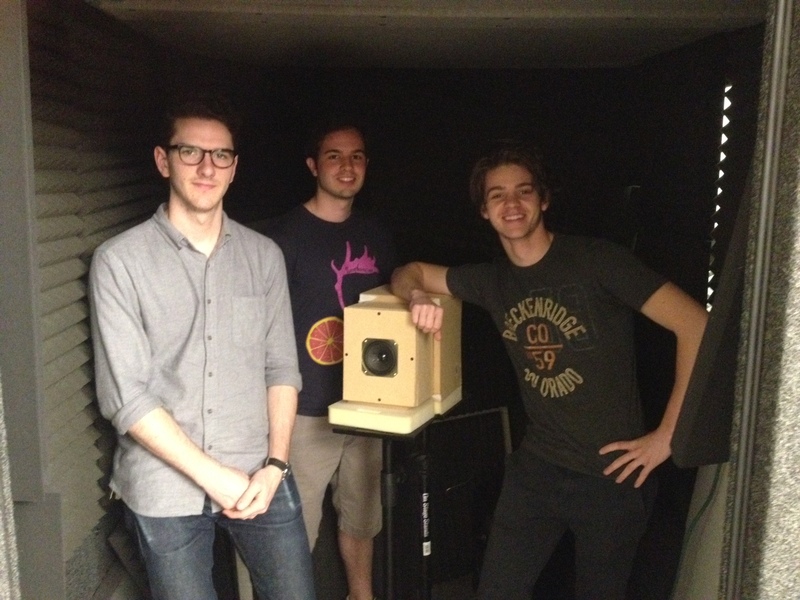 AET majors Ryan Yount, Chris O’Brien and Ryan Morris built a ported speaker cabinet for which the resonant frequency (of the port) was tunable by varying the interior volume of the cabinet. The isolation booth was secured by CSM faculty Drs. Thom Spence, Robert Magruder and Scott Hawley for use with student undergraduate research and class projects which require more precise acoustical measurements than is afforded by a regular classroom environment.